Put chicken liver in a bowl. Pour in 1/4 cup soy sauce and 1/4 cup vinegar. Then add the cornstarch. Mix until livers are properly coated. Heat a small amount of oil in a pan. 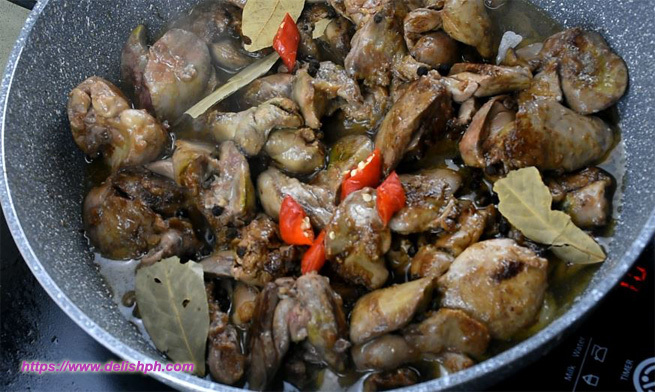 Pan fry the chicken livers on both sides until brown. Remove from pan, set aside. On the same pan, saute onion and garlic. Pour back in chicken liver. Pour the remaining vinegar, soy sauce, bay leaves, peppercorns, chilis and brown sugar. Season with salt and pepper. Cook for about 15 minutes or until the sauce thickens. 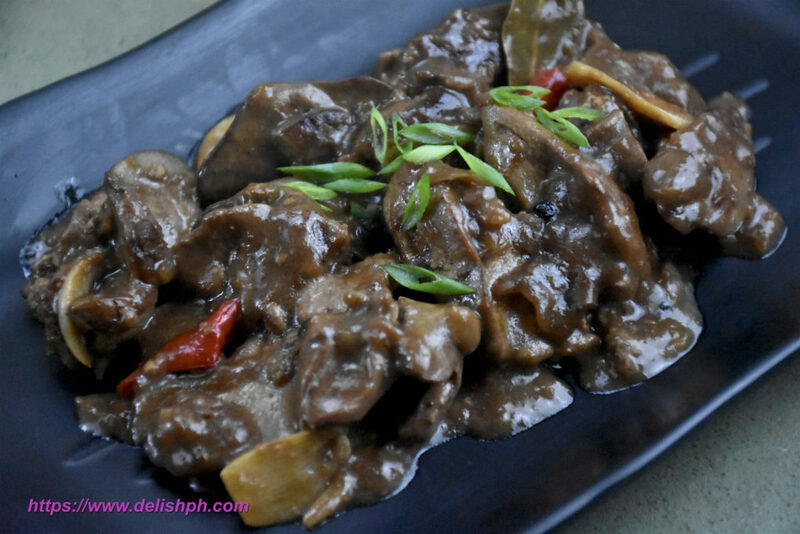 This is one Filipino recipe that you surely love. You can actually add more chilis if you want to. Also, I added a bit of sugar just to have a sweet flavor on it. But you can always omit that. If you have any question or suggestion about the recipe, drop a comment below or send me an email or direct message us on our Facebook Page.